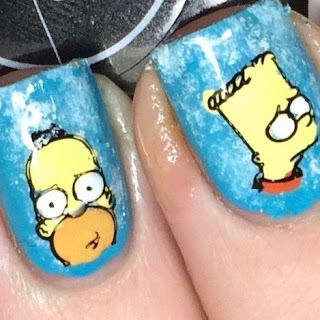 One of my all time favourite TV shows since I was quite a little girl, of course I am talking about The Simpson's. I can re watch episodes of The Simpson's again and again, I will find it fun to watch and always seem to giggle at the same jokes. 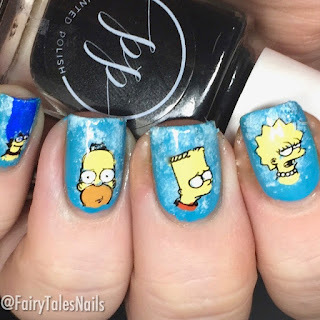 For the base of this main I used a nice bright sky blue creme and then used a small bit of a gradient sponge to create a cloud effect, just like the one at the beginning of each Simpson's episode. The stamping plate I used for this mani is Loja BBF nails 68 and I purchased it from UK supplier Nail Artisan for £7.50. I also stamped using Painted Polish Midnight Mischief; which I think might be my new favourite black stamping polish as it is super opaque and picks up really nicely. 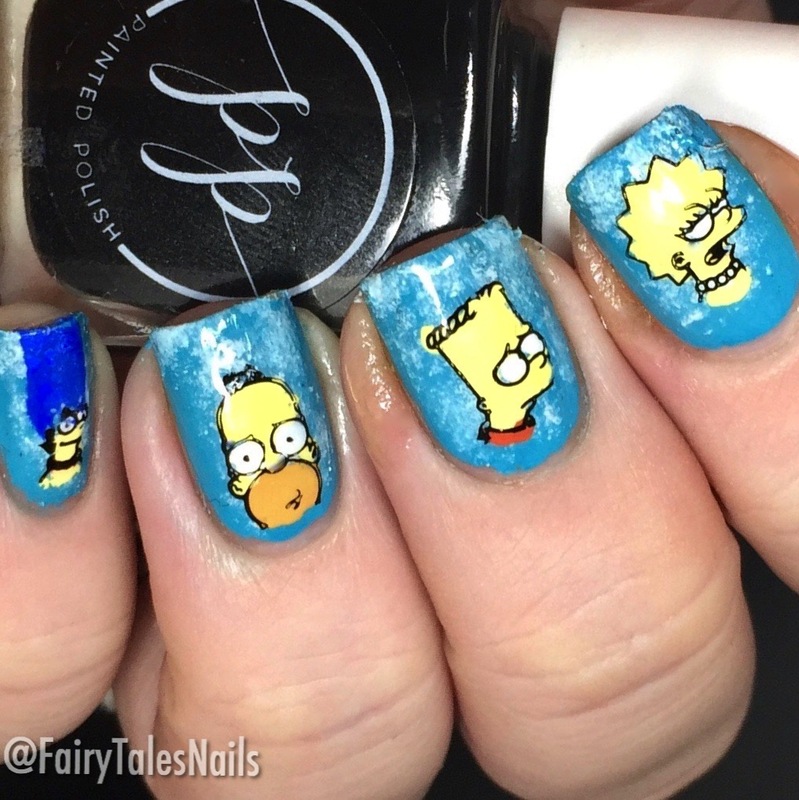 I am super excited to see what everyone else has done for this months theme, as always all of their lovely mani's are linked in the In-Linkz down below. 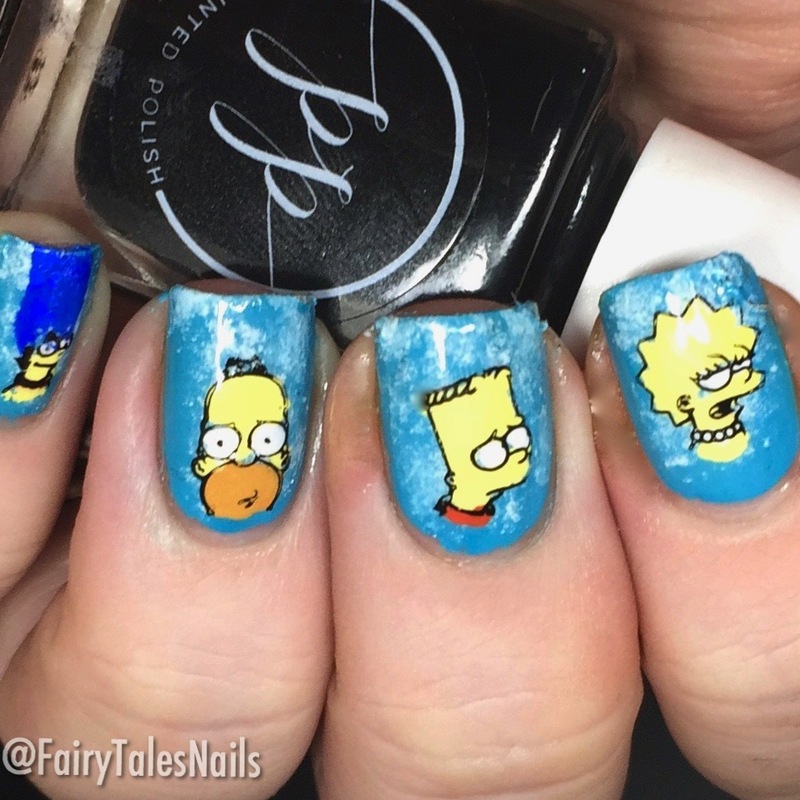 I hope you enjoyed my first mani for this week's theme, I know I will definitely be using this Simpson's plate again in the future. See you back here for another Digit-al Dozen mani and another one of my favourite TV shows.